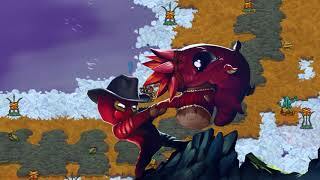 If Crashlands has a lesson to offer, let it be to never come between an intergalactic trucker and her deliveries. When Flux and her trusty robot assistant Juicebox encounter a villainous alien named Hewgodooko that steals their ship components, they hurtle towards the wild planet known as Woanope. Now she's going to show ol' Hewgo that he messed with the wrong trucker. 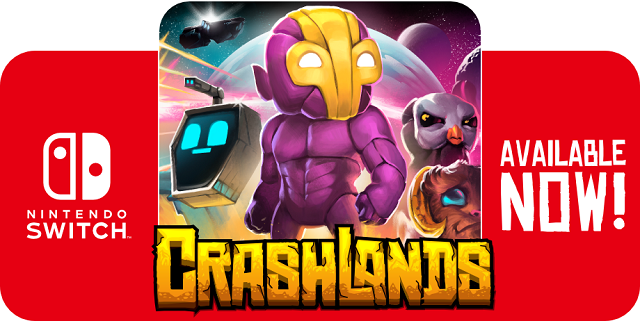 11/8/2018: The crafting game Crashlands is now available for the Switch.